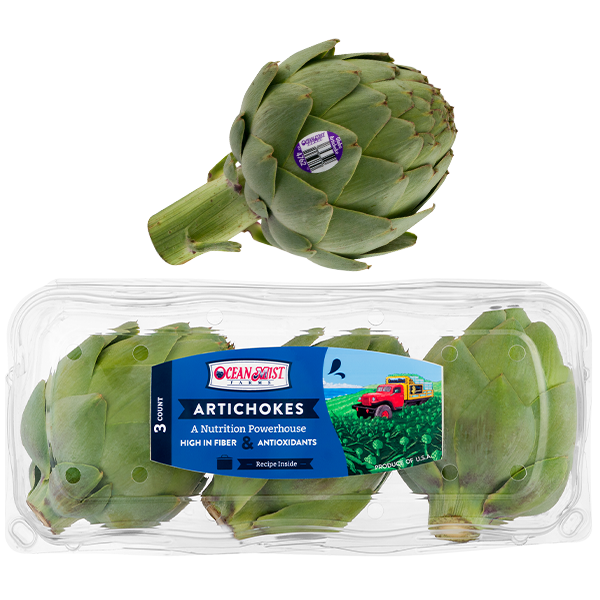 Ocean Mist Farms artichokes are produced year round, with the highest quality and freshest taste, in multiple varieties! 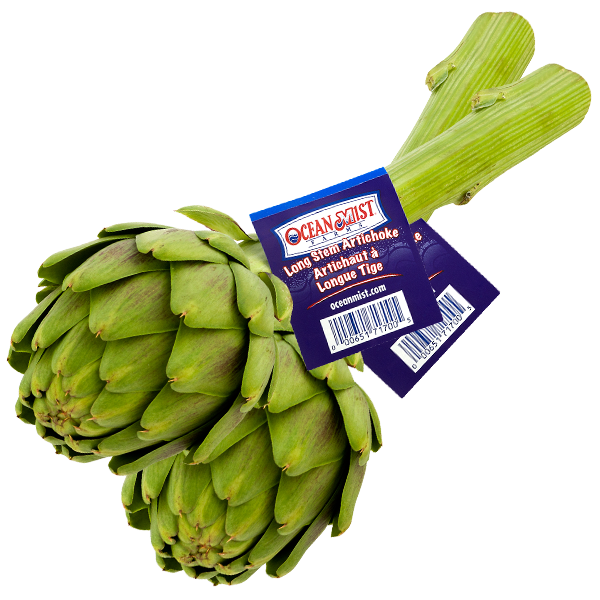 Whether you have eaten artichokes for years or this is your first time trying an artichoke, we will provide you with all you need to know about this remarkable vegetable. 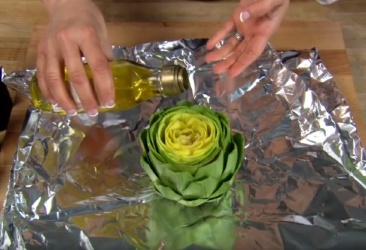 Learn how to eat an artichoke here. Search for the artichoke that feels the heaviest and firmest. 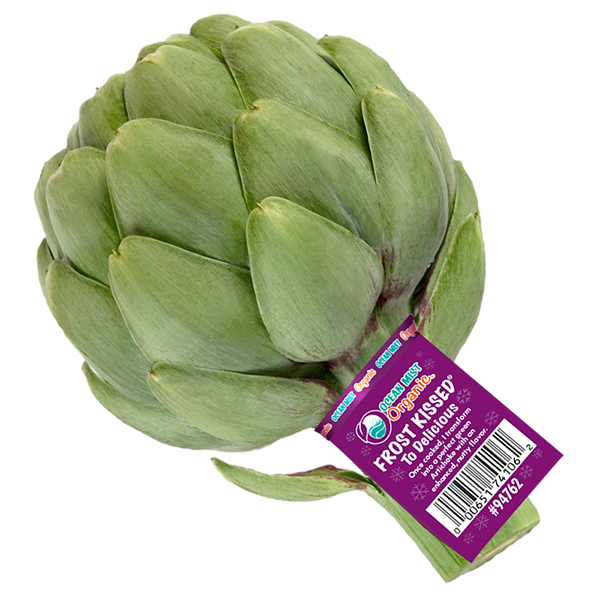 Select artichokes that have a healthy green color, compact center leaves and an overall look of freshness. To store uncooked artichokes, slice a dime width off of the stem, sprinkle the stem end with water and refrigerate in an airtight plastic bag. 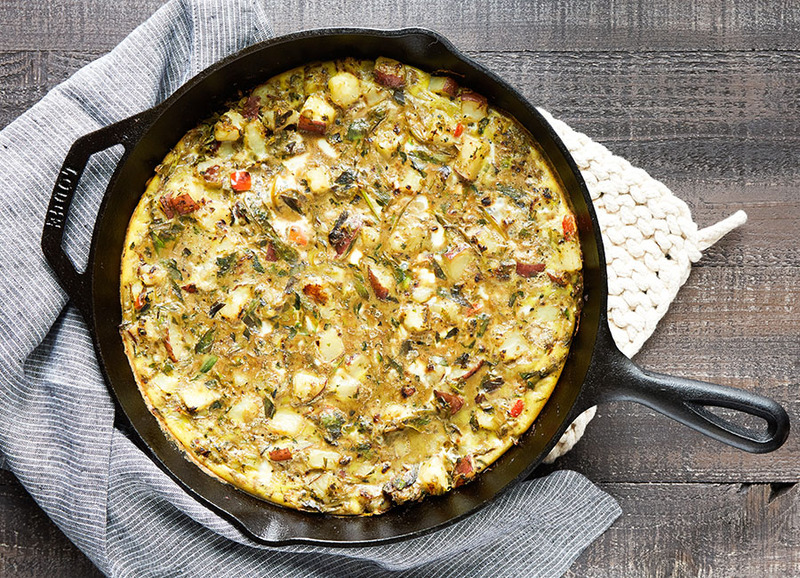 It’s best to cook artichokes within five to seven days after purchasing. Cooked artichokes should be cooled completely and covered before you put them in the refrigerator where they can keep for up to a week. Artichokes are great for cooking the night before. 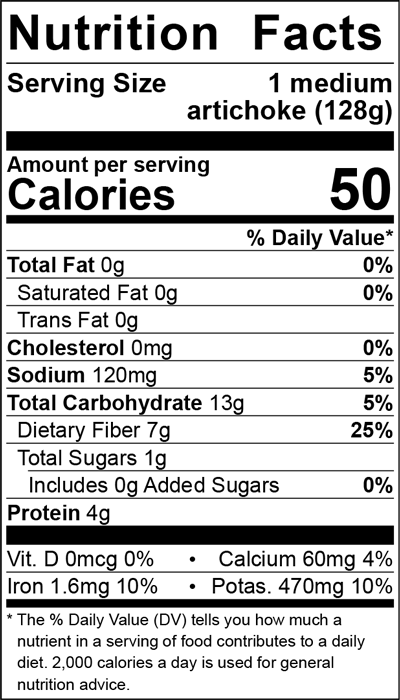 Reheat in the oven or microwave before serving, stuffing, grilling or using as an ingredient in another dish. 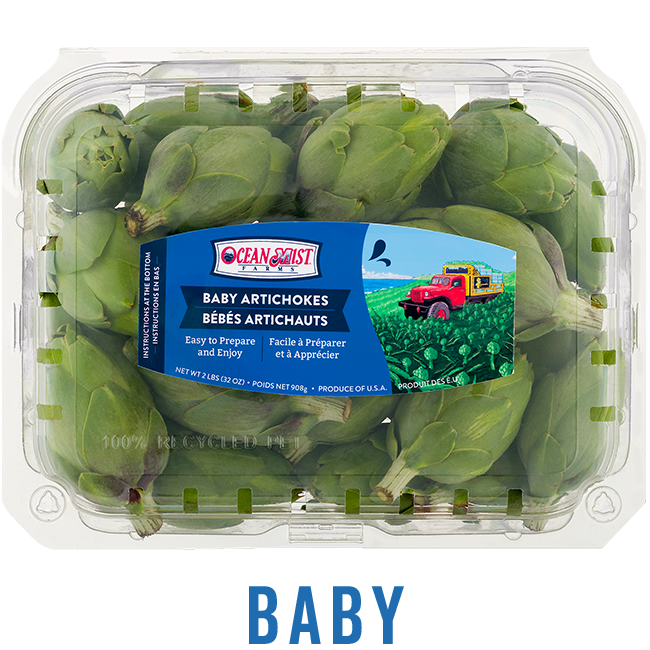 A baby artichoke is a smaller but fully grown version of the traditional artichoke. 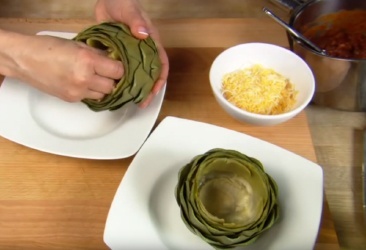 Learn how to prepare baby artichokes for cooking here. 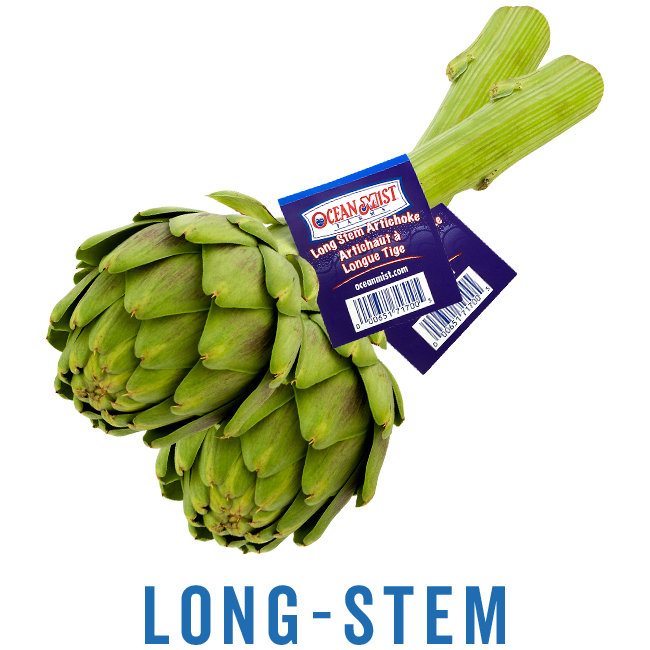 Long-stem artichokes provide an additional 8-10 inches of stem that is actually an edible extension of the heart. 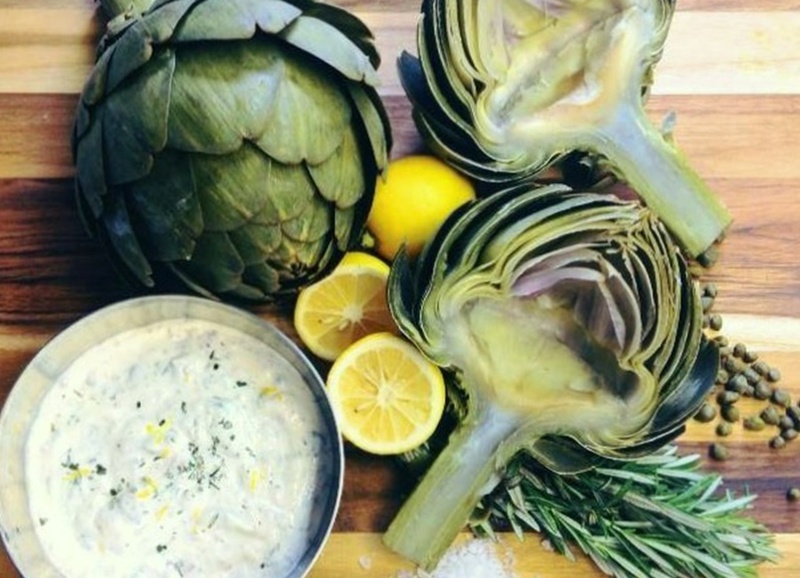 Learn how to cook long-stem artichokes here. 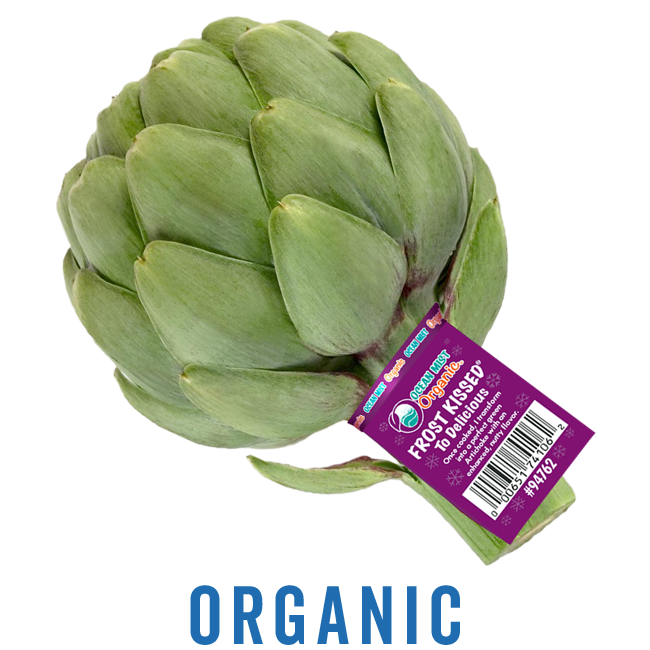 We grow organic artichokes in fields that are naturally suited to the organic crop, maximizing fertility and minimizing inputs such as water. 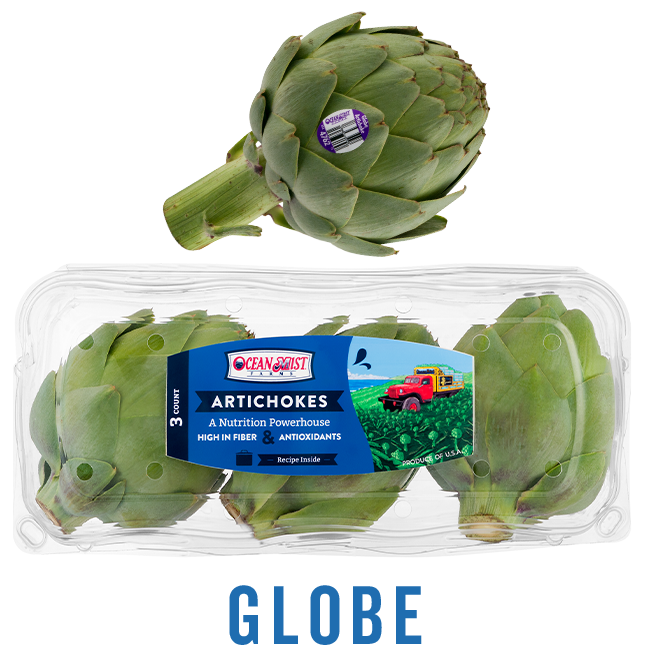 Globe artichokes are a large and meaty variety that Ocean Mist Farms produces year-round. In the spring, our Gold Standard artichokes are grown in Castroville, CA and during the winter months, we grow artichokes is the Coachella Valley, a dry desert region of Southern California. 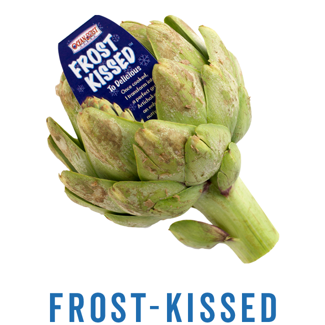 Connoisseurs believe these “Frost-Kissed” artichokes are more tender and have a flavorful, nutty zest. 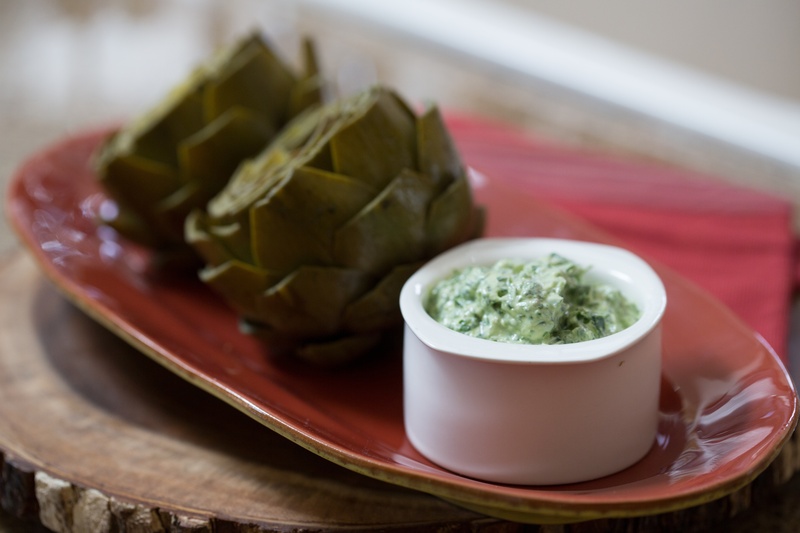 Looking for a simpler way to enjoy fresh artichokes? 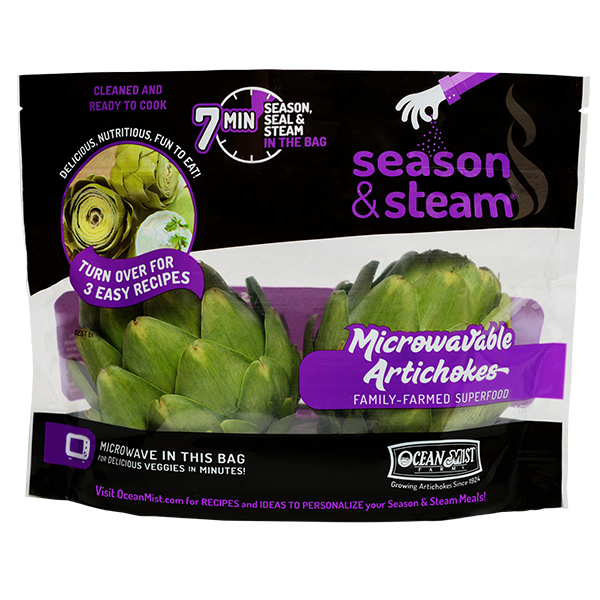 Try our no prep microwavable artichokes! 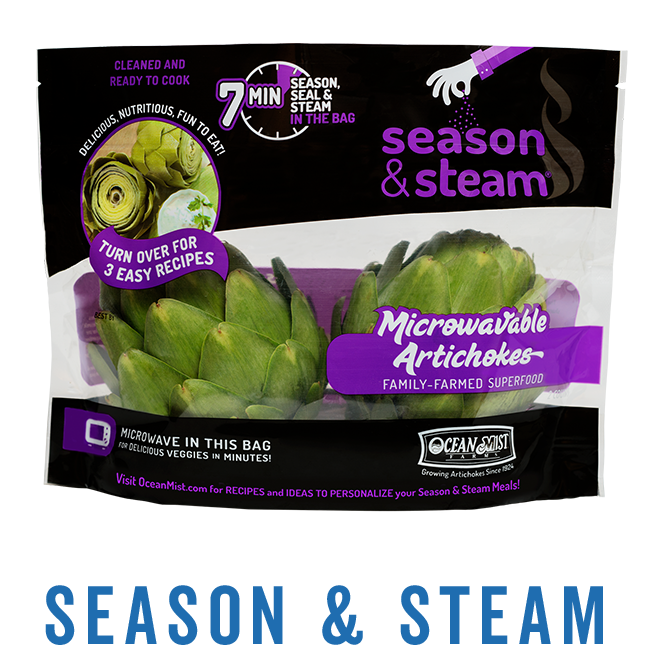 Fresh and ready to cook in our special steam package, you'll enjoy the same great Ocean Mist Farms artichoke flavor in seven minutes or less. 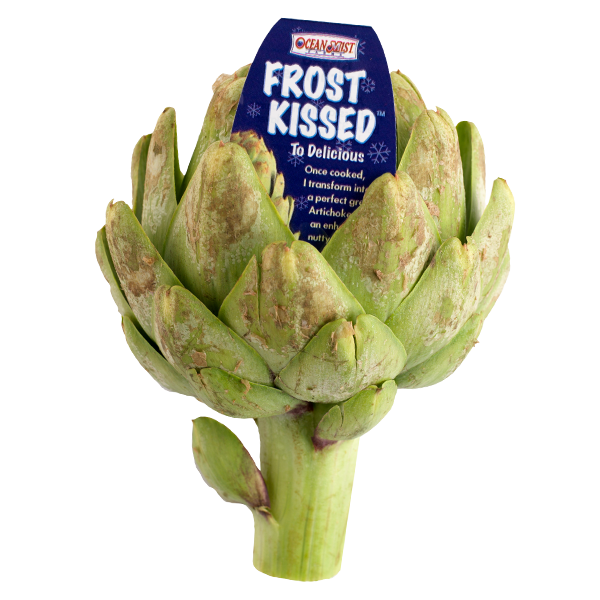 Simply open, add in your favorite artichoke seasoning, reseal and pop in the microwave for a quick and flavorful family favorite. 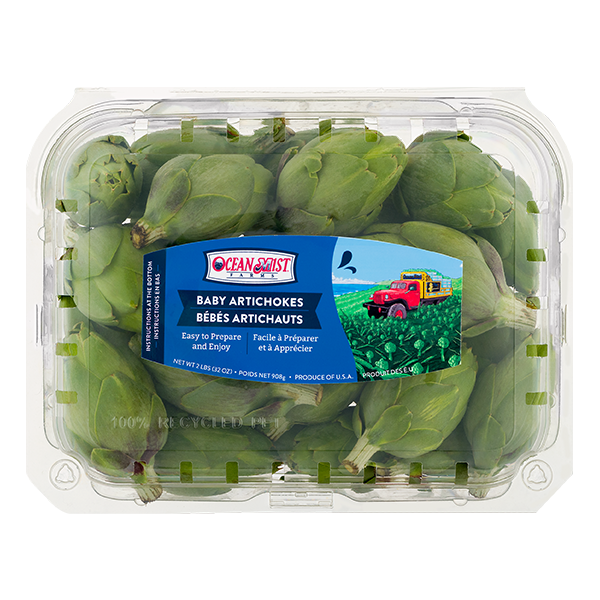 Ocean Mist Farms artichokes are grown year-round in multiple growing regions throughout Southern California. Every artichoke plant is hand-harvested up to 30 times per season which allows our harvest crews to carefully select artichokes that fit Ocean Mist Farms’ stringent quality standards. Artichokes are removed from the plant by slicing the stalk just below the base of the artichoke, leaving an edible stem attached. Watch our artichoke harvesting video to learn more about how we grow and harvest artichokes at Ocean Mist Farms.